The above example uses a unique map background created with the 'Your Google Map' feature. Usually the Google Map comes in its classic map legend, making the different map features like roads and parks easily recognisable. By changing some of the colours, the map background can be made to look more Christmas themed. In this case using a combination of green and white. To try your own hand at annotating a map just go to findfreemaps.co.uk and click on the drawing tools to get started. Is free data a good idea? It’s a question that’s been hotly debated for some time now within the environmental geo-information community. Having experienced the impact of the ‘first tranche’ we’re now in a better position to argue the pros and cons of the release of further free datasets. However, while we continue to talk, an array of programmes and UK government initiatives are being proposed that will result in the release of a deluge of free data. We therefore need to resolve this debate within the environmental geo-information community and make our views known – before any big decisions are made. The results will, after all, shape the way we work for many years to come. Free data - what does it mean? An ardent supporter of free data will argue that data collected by a government department belongs in the public domain. Their view is that data compiled by public servants working in public departments and funded by the tax payer – both private and corporate – should be freely available. Until recently data was held by a number of agencies and made available to the public under directives such as the Environmental Information Regulations 2004. One popular portal was the Environment Agency’s What’s in Your Backyard website. The British Geological Survey (BGS) built its own geoportal and created the i-Geology app. In order to streamline access to data the government created www.data.gov.uk. Launched by Sir Tim Berners-Lee in 2010, the portal gives members of the public and businesses quick access to a selection of public datasets from a range of public bodies to open up its datasets to the general public. Some of the most popular datasets released to date are from the Ordnance Survey. Under the banner of OS OpenData, a range of ‘simple data’ has been made freely available. However, this ‘simple data’ has limited potential in terms of how it can be used. The current government is committed to the EU INSPIRE program and plans to take this a stage further through the UK Location Strategy. Enable discovery, viewing and download services for EU government entities, public authorities and members of the general public. Re-use of public sector information encouraged. Strategy should provide information that enables sustainable development, socio-economic analysis and other benefits. This combination of initiatives means that free data for use by the general public is a reality which is here to stay. Following the argument that data gathered by public bodies should be in the public domain, it’s likely that more environmental datasets will be made available. This will be especially helpful to individuals considering property purchases, assessing risk to their homes and considering other factors which could affect their daily lives. The data is, however, for strictly non-commercial use. When it comes to data there’s a very strong argument that ‘you get what you pay for’. While the casual needs of a member of the public may be met by free government datasets, businesses demand far more. In order to make data truly valuable it must be cleaned, analysed, organised, properly presented and made instantly accessible. Far from spelling doom and gloom for the commercial sector, the release of more free datasets simply presents new opportunities. The establishment of the Public Data Corporation confirms that the government recognises the value of data. Its aim is to apply consistent standards to collection, maintenance, production and charging, as well as providing an unprecedented level of easily accessible public information. 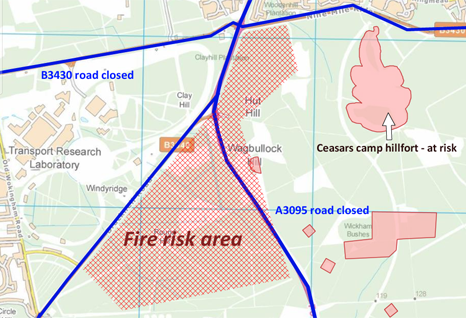 Working initially with Ordnance Survey, Land Registry and the Met Office, this new unit within the Cabinet Office should be up and running by the beginning of 2012. It will then offer ‘best practice’ advice and guidance to other public bodies such as the Environment Agency and the NERC/BGS, which are currently regulated under the Information Fair Trader Scheme. Option 1 Maintain licensing and charging status quo, but commit to have more information available for free. Option 2 Harmonisation and simplification - set simple charges for public data without differentiating the end use. Option 3 Freemium model - offering the basic, ‘raw’ information free of charge, but then allowing entities to add value to the data and facilitate the market generating a range of value added products. Within the environmental sector the demand for geospatial information is generally satisfied by ordering standard reports through a supplier. The number of suppliers is limited by the substantial investment required in terms of software, programming and storage, and this leads to limited consumer choice. Opening all government environmental information under the Freemium model (see above) would lead to a wealth of benefits. It would create a level playing field in which innovative, creative organisations with technical expertise could excel by developing new ways of mining data and presenting information. It would also encourage the development of new applications aimed at supporting the intelligent use of data to inform decision making and increase business efficiency. This would go a long way to fulfilling government objectives to increase data availability, expand data choice and encourage competition. So – is free data a good idea? We’re poised on the threshold of an extremely interesting period in the supply of geo-environmental data. For commercial purposes, free data still requires investment to turn it into useful data. Free data will, however, stimulate the development of new products aimed at improving business efficiency within the environmental and geotechnical sectors. Simpler licensing arrangements and charging regimes will encourage more companies to enter the supply side of the market. In order to compete theywill develop an increased range of products such as custom and tailored reports, Web-GIS applications, Web design/analysis tools, web reporting and recording functionalities. This will lead to increased competition and should result in more competitive pricing. EnviroFIND is a product which has already responded to the changing demands of the market. Instead of ordering lengthy standard reports, users can instead use a simple view and print service. 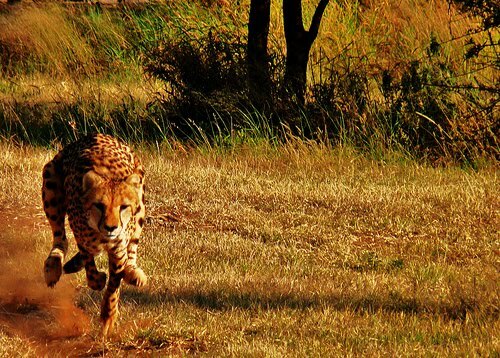 This allows them to selectively extract only the datasets they require then to analyse and record relationships. Whether the data is from the EA, BGS, Coal Authority, OS or another data provider, the system ensures that it is legally compliant. The larger players will benefit from more extensive data feeds direct from the relevant agencies. This should encourage them to develop in-house applications which distribute this data throughout their organisations. The possibilities certainly excite many in the industry who are already considering the possibility of 3D options incorporating elevations, or even 4D options where time is one of the elements. While the end result of all these changes may not be free data, the benefits accruing from increased competition amongst information providers is likely to lead to significant cost savings for all involved. It’s supposed to be the season of ‘mists and mellow fruitfulness’, but the mood in the countryside is far from mellow when it comes to the Government’s proposed changes to the National Planning Policy Framework (NPPF). Alarming headlines warn us that the new proposals represent “a threat to the countryside” (Daily Mail), “threaten [the] green belt” (Telegraph) and “will destroy Britain” (Guardian). So why are the headlines so alarmist? The environmental community fear that their concerns about unchecked rural development will be brushed aside in a mad rush to stimulate the economy – something they regard as short-termist. A loose coalition of individuals and organisations including the Campaign to Protect Rural England (CPRE), the National Trust and Greenpeace have come together to voice their concerns. They are calling upon MPs to fight against the proposed changes and are hoping for an outcome similar to the u-turn on the sale of national forests. During Prime Minister’s questions in the Commons on 14 September, Mr Cameron tried to pour oil on troubled water, telling MPs that proposed changes would favour localism over centralism and that local communities therefore had nothing to fear. He also pledged that green belt land would be protected. Nonetheless, the new proposals represent the biggest shake-up of planning since the Town and Country Planning Act of 1947. The consultation period ends on 17 October. Whatever the outcome of the debate it’s our belief that the best decisions are made based on good information. FIND Maps offers all the information required to build a complete picture of the spatial context of a planning application. Whether you need mandated environmental reports, high resolution aerial photography or OS MasterMap, at FIND Maps we pride ourselves on providing timely access to professional data. Sustainable Drainage Systems (SuDS) and the Flood and Water Management Act 2010 - Are you ready for the changes? Following the disastrous flooding of 2007 the government investigated the root causes of the flooding. But are you ready for the resulting legislation? Traditional thinking was that water runoff naturally ran into natural drainage ways, into streams, rivers, when the volume got too much the rivers would overflow and cause flooding. Our drainage infrastructure would lead urban runoff away from sites and delay its entry into river courses, hence reducing the volume of water that might cause fluvial flooding. The investigation of the Pitt Committee actually concluded that the root cause was actually our drainage infrastructure itself. 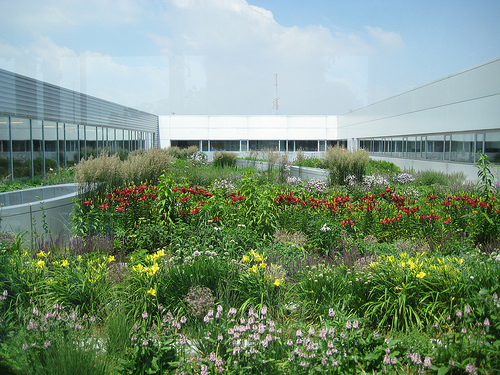 Sustainable Drainage Systems include a range of architectural and planning features, such as a green roof. We had become so reliant on being able to channel runoff into our inbuilt drainage network that it was simply unable to cope. Linked to climate change which has meant that sudden heavy downpours have become more common and you have a recipe for disaster. If you add in that the massive influx of water often contained runoff pollutants then the situation becomes even more severe. Local Authorities or Lead Local Flood Authorities were created to take emphasis away from the drainage basin approach to flood management as adopted by the Environment Agency. In effect localising flood control efforts. The right to automatically connect a new development to the existing Sewer and Drainage infrastructure was removed. 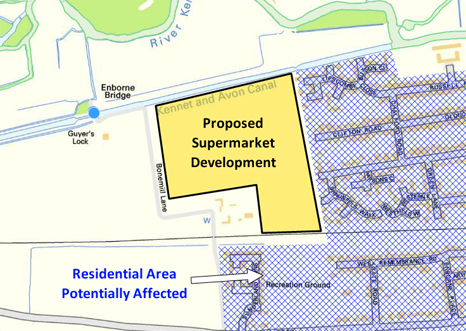 Instead a new development or redevelopment project will first have to submit a Sustainable Urban Drainage Plan to the SuDS Approval Body (SAB) prior to gaining planning permission. Flood Control has become local. The legislation has received Royal Assent and Industry standards and regulations are being finalised, the objective being that the Act will be fully implemented and enforceable by March 2012. What are Sustainable Drainage Systems (SuDS)? For those who have been fortunate enough to travel to many parts of the world, say Florida or Texas, you may have asked yourself why is there so much water around lying in ponds or swampy areas? Why don’t they drain it away and reduce the number of mosquitoes? These are examples of Sustainable Drainage Systems (SuDS), also known as Sustainable Urban Drainage Systems (SUDS). Simply put, control rainfall onsite and minimise the runoff of this water into the drainage system. There are many ways that this achieved by for example retention ponds, roof attenuation, swales, seepage areas or even grey water recycling, such as storing it for future use. All of these methods need to be considered by developers or land purchasers, or their consultants when planning projects. Each of the Lead Local Flood Agencies will set a quota for the amount of water that is allowed to drain off your property and enter the public water system. Anything above this is your problem to deal with inside your local SuDS design. Environmental, geological, hydrogeological and contaminated land issues become critical to the evaluation of the type of SuDS system that can be employed on a site. Alongside the cost benefit analysis the above are crucial factors. Certain SuDS methodologies simply will never be approved in certain instances. Bearing in mind all the above factors it is critical that when designing a SuDS system that full and comprehensive analysis is made of geological, geotechnical and environmental factors. 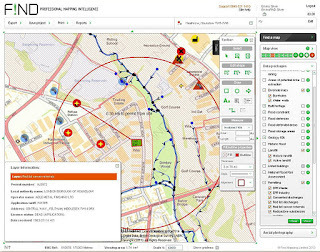 FIND Maps is able to assist organisations by providing rapid viewing, printing and export capabilities for all of the relevant datasets. Our EnviroFIND service allows you unlimited, intelligent viewing of EA and certain BGS data sets for as little as £ 25 per month. Additionally, we have a range of products which will be coming out over the next few months to assist in your SuDS project planning. A project to map publically owned properties has revealed an astonishing amount of potential savings through better asset management. Last month Communities secretary Eric Pickles unveiled a map of more than 180,000 public buildings as part of a push to rationalise the public sector estate. The map details the locations of buildings owned by almost 600 public bodies and 87 English councils. A recent independent report also found that local government and the public sector could save up to £7bn a year in operational costs through better property management. If you’ve ever endured the noise and inconvenience caused by neighbours and their DIY projects, spare a thought for Lucy Grothier. Lucy, who lives in a Regency semi in Twickenham, was at home when a bulldozer began to demolish the adjoining property. John Johnson, the owner of the property in question, had been granted planning permission for an extension and basement. While this work would have involved partial demolition, he decided that it would make more sense to demolish the entire building and start from scratch. 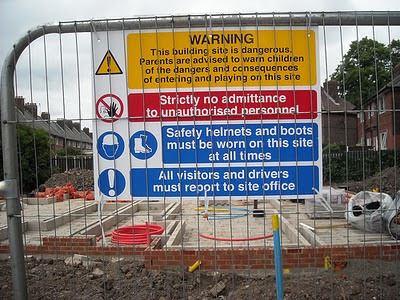 Mr Johnson was fined a record £80,000 plus costs for flouting planning rules within a conservation area. 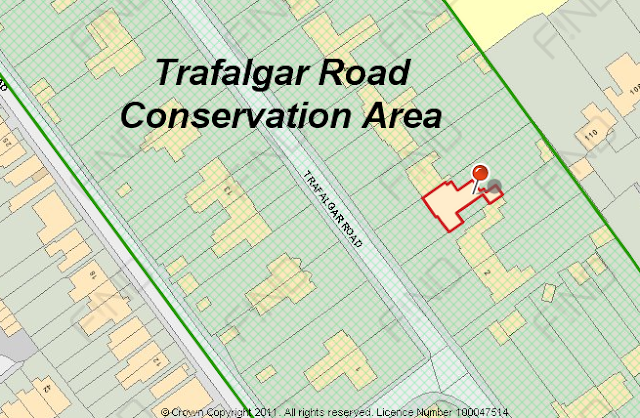 Detailed information about conservation areas can be found at www.findmaps.co.uk, where you can also view information about built heritage and, indeed, planning applications. Further valuable information can be found under planning applications on the FIND web portal. 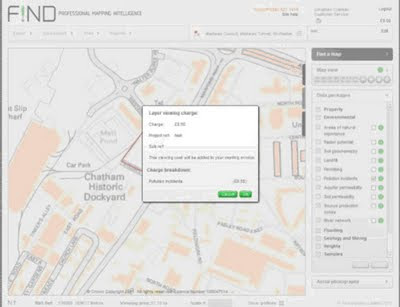 This layer displays details of all planning applications for properties, whether granted, refused or pending. The applications can be filtered to display information by month, year, size, property type, development type or status of application. This month we’re introducing two important changes to our Ordnance Survey products. 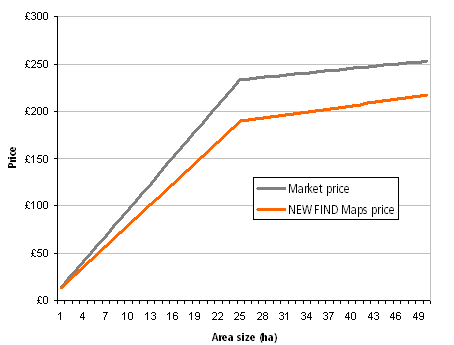 The first is substantial price reductions OS MasterMap exports. The second is simplified licensing for many Ordnance Survey maps & data. Further details about these changes can be found on our price list. The Standard Licensed Use (SLU) now replaces the old Plan, Design & Build and Internal Business Use licences. This simplifies licensing arrangements for a range of Ordnance Survey maps and data. All changes to Ordnance Survey licences have been incorporated by FIND Maps and each Ordnance Survey export now automatically contains a PDF of the document. Further details can be found on the FIND Maps website at SLU. 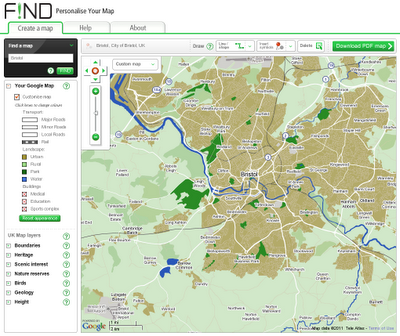 Today we launch ‘EnviroFIND’ – an online commercial environmental data viewing subscription service. The service has been specifically designed for organisations which need to view Environment Agency and BGS/NERC data while being legally compliant. It is currently the only web source offering instant access to this information at flat or reduced rates. Jonathan Cundall, 4Site Associates Ltd, said “EnviroFIND is an intuitive web based service which provides our business the flexibility to not only purchase data at very competitive prices, but also to review and assess a very wide range of data quickly and in an iterative approach. This real time service allows us to save time and money and provide an improved service to all our clients. We believe that EnviroFIND moves the provision of environmental data to the next level. EnviroFIND was developed in collaboration with key environmental clients already using FIND Maps. This has resulted in a service which meets industry requirements and can be delivered at a low cost - equivalent to just a few pounds per day. A subscription to EnviroFIND allows an unlimited number of views of basic BGS/NERC data layers and Environment Agency data, including NAFRA and EA Flood Zones. More sophisticated BGS layers such as Ground Stability and Radon Affected areas data can also be viewed at reduced rates. The service will allow a range of organisations to use environmental data more effectively. Desk Studies and bid preparations can be completed more efficiently as specific data can be targeted rather than having to sift through lengthy reports. Clients will be able to use our online interactive tools to create their own annotations and graphics prior to printing the data. EnviroFIND costs between £25-35 per month depending upon the subscription period and number of licences purchased. 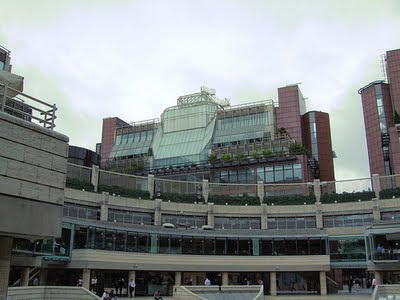 The Broadgate Centre, an office and retail estate in the heart of The City of London may not be everyone’s idea of heritage, but every decade has its architectural high points, and the 1980s is no exception. The complex is described by English Heritage as “one of the most important and successful developments of its period and type, possessing special architectural and historic interest”. They also note that it is a “triumph of urbanism, a special place in the financial heart of the capital”. It’s therefore unsurprising that the body charged with protecting our built heritage should recommend that it be granted Grade II listed building status. By refusing to endorse this recommendation, Culture Secretary Jeremy Hunt has cleared the way for British Land and its private equity partner Blackstone to demolish 4 and 6 Broadgate. They will be replaced with a new European HQ for Swiss bank UBS. British Land’s new development, representing an investment of £850m, will commence almost immediately. Staff here at FIND, based in The City of London, were particularly pleased to learn that British Land has given an undertaking to preserve the open space at Broadgate Arena which hosts sporting events during the summer and is transformed into an ice rink during the winter. Listing a building is not meant to fossilise it – especially when long-term interests are often best served by putting it to good use. However, listing does ensure that the architectural and historical interest of a building is carefully considered before alterations are agreed. It is therefore vital that developers, planners, insurers and estate agents have instant access to detailed information about listed buildings. At www.findmaps.co.uk you will find data on all listed buildings in the UK – approximately 370,000 in total. Links are provided to either the Images of England or the Historic Scotland websites for additional information about particular buildings. Images of England is a ‘point in time’ photographic library of England’s listed buildings recorded at the turn of the 21st century. Lego Architecture started in 2007 as a collaborative project between the Lego Group and Chicago architect Adam Reed Tucker. 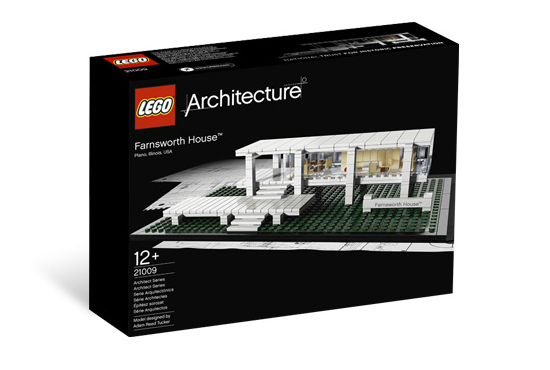 A range of models has now been created, including Mies van der Rohe’s Farnsworth House and Frank Lloyd Wright’s Guggenheim Museum. At FIND Maps, we offer 3D building models from Z Mapping for a range of towns and cities in Great Britain. The models are the most detailed and accurate currently available and offer architects and CAD modellers a true to life representation of a site or project area. 3D models are a cost effective tool which can be used to explore strategic view shed, planning and height restrictions, mast installation, sun/shadow and environmental factors, and a good deal more. We also offer a range of detailed mapping, aerial photography and height models to create your own 3D building models form scratch in CAD or LEGO! For UK businesses and environmental companies, recently introduced laws present challenges and opportunities; are you aware of how these could impact you? EU Environmental Liability Directive into the Environmental Damage (Prevention and Remediation) Regulations 2009 creates a code of strict liability for pollution incidents and means that the concept of the ‘polluter pays’ is enshrined in UK Law. Unlike other EU countries Environmental Insurance is not compulsory under UK legislation. One leading Environmental insurance professional likened this situation to a ‘business wandering blind into a potential minefield, with potential catastrophic exposure of the company’s Balance Sheet’; many companies are simply not aware or closing their eyes to the potential liability. Each heading applies different methodologies for assessing the level of damage and hence the amount the polluter must pay. The unfortunate news for both industry and the authorities is that the determination of environmental damage will involve extensive testing by qualified technicians, requirements for extensive datasets, which will come at a financial cost. Therefore the requirement for many businesses, environmental responders and consultants to have available the most up to date and readily available geo-information is imperative. The more rapidly the information can be compiled, the more effective the containment plan and the more the damage or impacts can be limited. Our extensive array of Environmental, Land Use, Hydrological and Geological datasets are instantly available online for either viewing or printing. They can be quickly relayed to response crews, aiding the formulation of the containment plan. The data can then be used to formulate the Remediation plan. New options are being developed by our in-house team to provide increasingly cost effective solutions to aid our clients and business partners to address their Geo-data requirements. 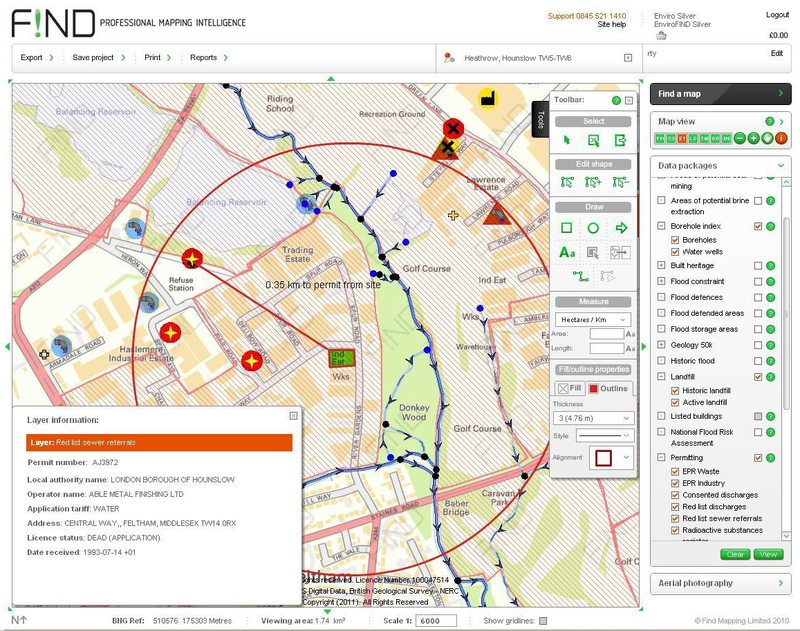 FIND Maps is a leading provider of Online Environment Agency, BGS, OS and other data sources. We are the only company that has an extensive array of BGS and Environmental Agency datasets immediately available. 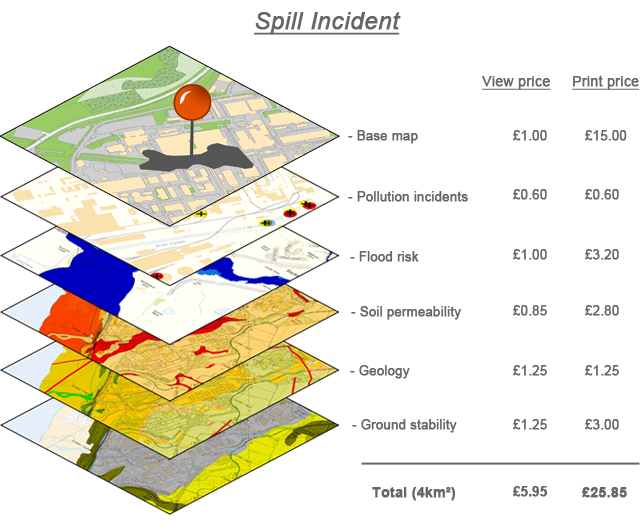 In a spill response situation this information is invaluable and has the potential to save our clients many £ ‘000’s by being able to compile Geo-Data in a rapid manner. Contained below is a montage of some of the datasets available from our website that can be compiled into a rapid response report. For fans of acronyms, the PSMA (Public Sector Mapping Agreement) replaces the old PGA, MSA and GLA. This initiative gives public bodies access to Ordnance Survey maps and address data for free. Over 750 organisations will benefit, including community, parish and local councils, the emergency services, health authorities, development agencies, environmental organisations, local authorities and government departments. Use arrows to highlight important areas and features or mark roads over OS maps. PSMA maps and data can be used for a vast array of purposes including mapping and managing assets, strategic decision making and much more. Ten different OS products are available under the scheme. Importantly, this list features the OS MasterMap® Topography Layer which is the most detailed mapping available for Great Britain. To get started qualifying organisations just need to fill in a form on the Ordnance Survey website. However, in order to put this free data to work you will need technical services and tools – and that’s where FIND comes in. We can manage all updates and deliver data via a customised web portal, including a set of high quality mapping tools or provide WMS/WFS feeds to your own applications. In order to get a Hackney License, London cab drivers must do ‘The Knowledge’. This means poring over maps to learn by heart 320 runs (routes from A to B) and 30,000 points (places of interest). 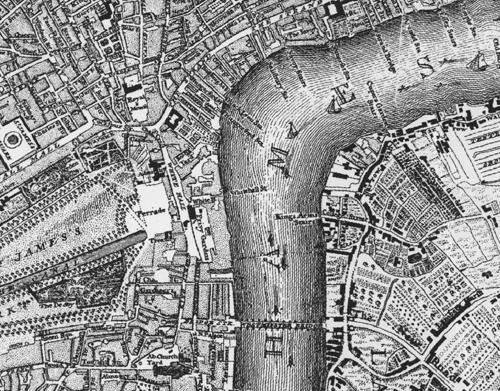 A recently discovered map seems to indicate that coachmen were doing much the same in 1785. The rare linen map shows routes through the labyrinthine streets of Georgian London, lists places of interest and even details fares. 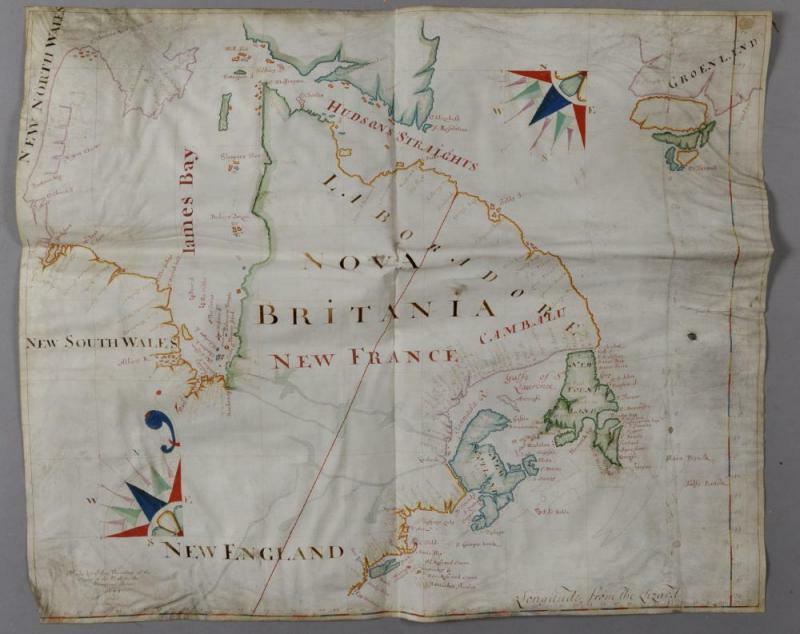 The 226 year old map is due to be sold at auction next month. Environmental Professional looking for a cheaper way to complete your Environmental Desk Studies? 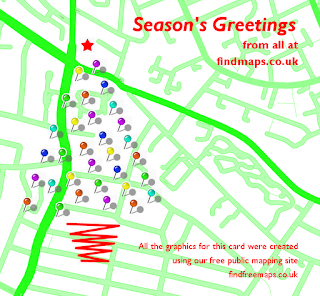 www.findmaps.co.uk may have just the solution you are looking for. Environmental professionals are required to access a vast array of data during their environmental studies, paying for this data can be expensive, especially when the data you paid for proves to be not applicable to your site. For example you are required to review the proximity and location of any hazardous waste sources, you purchase the data, export and download it for the project area plus a 1000 m radius, and there are happen to be no sources, is the money wasted in paying for a negative answer, what are the alternatives? 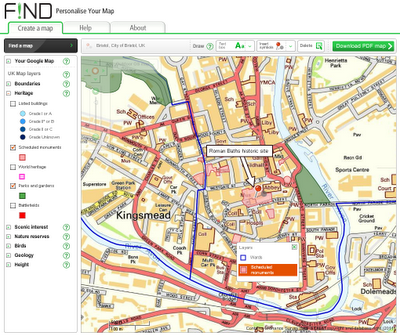 www.findmaps.co.uk is a website that allows you to view and, if required, print environmental data in the pre-report phase of a project, saving you both time and money. It is also a cost effective method of allowing you compile information that may be relevant to Tender preparation. For many environmental studies, you as an environmental professional, are required to confirm and certify the existence or non-existence and proximity of an array of information for your project site. FIND Maps has come up with a cost effective alternative to blindly downloading or ordering this data. We are the ONLY online data provider who has a ‘pay per view’ service with no minimum required spend. www.findmaps.co.uk contains an ever expanding array of data relevant to environmental professionals. We currently have nearly 200 different datasets, and based upon recommendations from our clients we are expanding this continually. How does our PAY PER VIEW service operate?? The website allows users to select their area of study, map scale and base map. Environmental professionals are then able to view their targeted data at a much reduced fee as opposed to -paying a more expensive fee to print or export the data. . You as a professional can then confidently certify those datasets which are not applicable to your project site and note in any report that there are no occurrences in the project site. You have now cost effectively confirmed the known knowns and the known unknowns. All views once paid for are recorded and you are able in the future to access that data via your saved project on our FIND Maps site. The length of time that you can access the stored view depends upon the data providers individual licensing requirements, but it will typically be several months. Now that you know which data is applicable to your project area you can now just pay to PRINT (as a layered PDF or JPG) or EXPORT only THE DATA THAT OCCURS ON YOUR PROJECT SITE for storage on your own GIS or CAD system. Either of these options is cheaper via FIND Maps than at any of other mapping provider. So what are the Savings?? As an example, let us take a theoretical area of interest of 1 sq km around a location and say 20 different datasets that require analysis per the project Environmental Review specification. The savings can be considerable, especially for organizations engaged in producing many environmental reports a year. 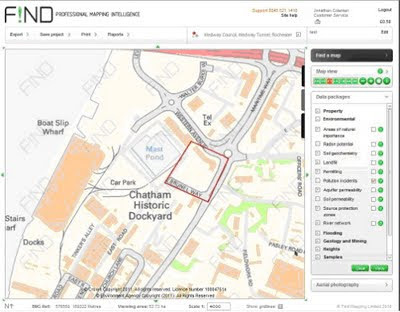 For projects where the client requires a formal report, FIND Maps is a leading supplier of GroundSure Insight Bundles. These are a cost effective alternative to other Packages on the market and are available from FIND Maps for only £179. GroundSure Insight Bundles utilise more datasets, have a higher resolution and are cheaper than competitor products. FIND Maps is simply the most cost effective and comprehensive online data provider for your project requirements. 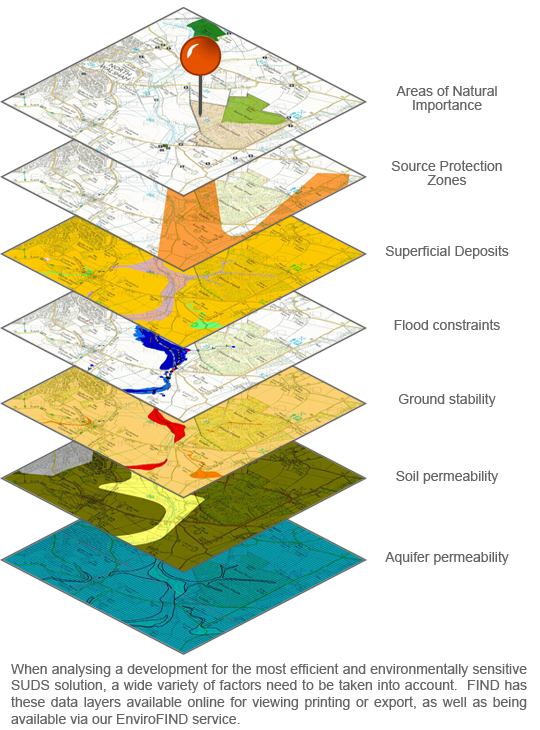 FIND is pleased to announce that we have updated all geological data layers and added an Aquifer permeability data layer from the British Geological Survey (BGS). Geology 10K data coverage has been significantly increased, especially in south east England and Lincolnshire. There are additional zones within the River and coastal flooding layer defining higher and lower areas of potential flood. FIND also makes available this month the new aquifer designation dataset from the Environment Agency and the BGS. This data reflects the importance of aquifers as a groundwater resource, such as drinking water, as well as their role in supporting surface water flows and wetland ecosystems. 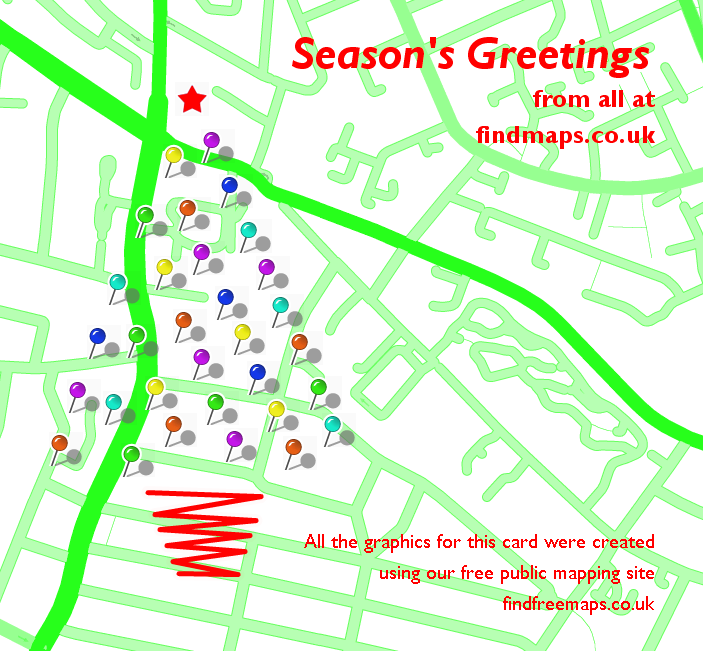 www.findmaps.co.uk is currently only place you can view, print and export this information. In addition to the new BGS data, we make available new Soil permeability data layer from the Environment Agency. This displays soil permeability and soil class details, based on the physical and chemical properties of the soil that affects the downward passage of water and contaminants. It should be used with the new aquifer designation layer for maximum benefit. Today we launch www.findfreemaps.co.uk – a unique website that makes it possible for members of the public to create and customise their own maps for free. Last year the UK government released numerous datasets to the public, an example being the Ordnance Survey’s OS OpenData. However, to date the public has not had access to this data in a useful and accessible manner. 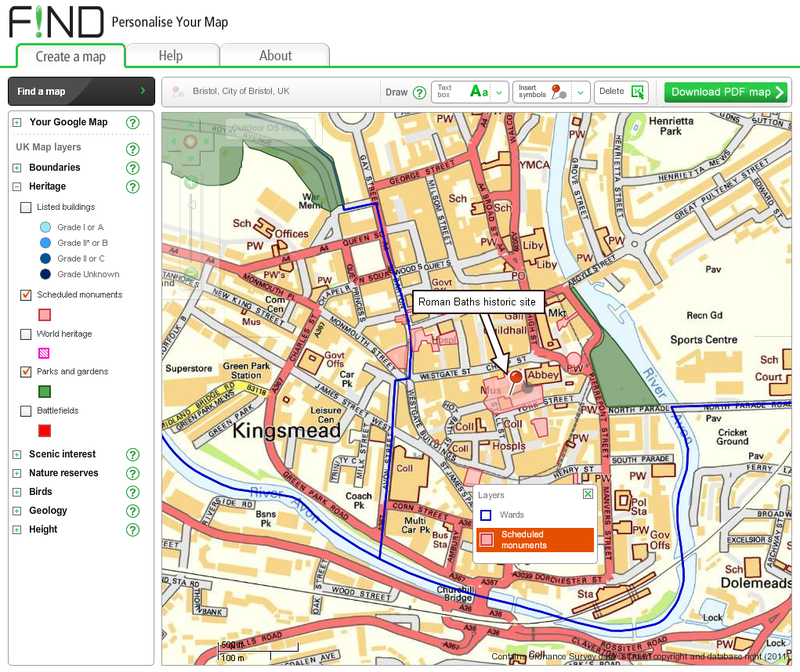 FIND’s Personalise Your Map website is an exciting development that allows the members of the public to make use of UK government data for their own needs. The site gives unprecedented access to a range of constantly updated maps and information from respected UK government sources such as Natural England, Ordnance Survey and Historic Scotland. For the first time users have been provided with a powerful mapping toolset meaning that rather than simply viewing a map users can now customise their own. Maps can be annotated with shapes, text, symbols, styling, and useful measuring tools then saved to PDF in a neat print template. The result is customised cartography at no cost. An exclusive feature of the portal is the ability to customise a Google Map through the ‘Your Google Map’ feature. Users have the ability to change the colour of every feature on a Google map globally to suit their specific requirements and preferences. Mariam Crichton, CEO of FIND says “www.findfreemaps.co.uk offers individuals the ability to mark up their own maps and share these with a wider audience. The possibilities of its use are endless, from customising a wedding invitation to sharing the details and the location of a significant local event for example the impact of major weather incident. The website acts as a powerful tool for communicating mapping information on a global scale”. Ordering maps, data and aerial photography can be a tedious and frustrating process, especially if you need the data immediately. It’s often the case that you’ll have to wait several days, sometimes even weeks or the data may simply not be available from source. There can be additional hassles too - licences may need to be signed and sent back; credit accounts may need to be set up; large minimum charges paid for. At FIND we have tried to make ordering data as quick and smooth a process as possible, with most of our maps, data and aerial photography available for instant online access. See below for a ready reference table covering how much faster our delivery times really are. In his Efficiency Review last year, Sir Philip identified £58m worth of waste in the government’s property portfolio. Much of the waste, he said, was the result of “very poor data and processes”. During his review he highlighted the need for an evidence-based approach in all areas of business. As he pointed out, accurate data, cutting-edge technology and intelligent analysis lie at the core of good decision making. Access to key data allows you to stay on top of key trends. According location data released earlier this month by the Ordnance Survey, since 2008 there has been a marked decline in the number of estate agencies (down by 9.2%), recruitment agencies (down 13.4%) and building societies (down by a staggering 28.2%). The only type of outlet on the high street to increase in number were bookies, which opened in 280 new locations (up 5%). When Sir Philip Green announced that he would close up to 300 regional stores operated by his Arcadia brand, it was interpreted as another threat to the vibrancy of the UK high street. The above can be seen as a shift from the high street to supermarkets, combined with the further growth of online markets. 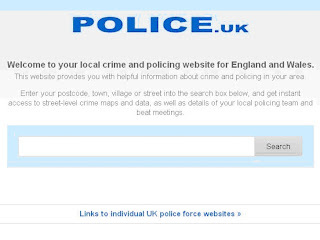 Launched earlier this week, police.uk provides the most detailed crime maps that have ever been made publicly available in the UK. However, it’s feared that this could prove a boon for criminals who want to avoid areas of high policing. It’s also feared that it might help to lower house prices and push up insurance premiums in areas where levels of reported crime are high. Overwhelming public interest caused the site to crash on the day of launch, but it now appears to be up-and-running. While Theresa May denies that making such detailed information available to the public will drive down house prices in some areas, the Royal Institute of Chartered Surveyors (RICS) has warned that the crime maps could have a negative impact on house prices if taken out of context. Higher insurance premiums might also result from the information in these new crime maps. According to the Association of British Insurers, companies could use it to update risk assessments for specific areas. The maps show that currently the most crime affected area in England and Wales is Glovers Court in Preston and the surrounding area. The new website reveals that more than 150 crimes and incidents of anti-social behaviour were reported there in December alone, including 44 violent crimes. This is a great example of how the ‘open data’ movement is gaining ground. It’s also an excellent example of how mapping intelligence can be used. As more people become familiar with using mapped data in their personal lives, this will inevitably lead to more intelligent use of mapping in the workplace. A map discovered in the attic of a house in Aberdeenshire sold at auction this week for over £200,000. North East America and Canada from Hudson's Straights south through Labrador and Newfoundland to New England and New York. Meticulously coloured and remarkably well preserved on a sheet of vellum, the map was drawn by London "plattmaker" John Thornton in 1699. 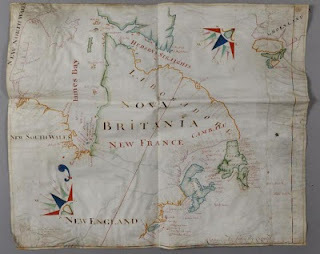 While the map depicts a large area of North East America and Canada, it was perhaps the inclusion of the small village of New York which attracted bidders. According to the Environment Agency, one in six homes in the UK is now at risk of flooding. Work is therefore under way to evaluate where to focus resources in order to provide effective protection. DEFRA has recently completed a review of the Flood Protection Grant Scheme. The review was based on a pilot project conducted in Appleby, Cumbria, where local householders and businesses were offered free flood risk reduction surveys. They were also offered grants toward the cost of putting protective measures in place. These findings suggest a growing awareness of flood risk. They also show that effective public partnerships can empower a community to take ownership of their flood risk. In March 2011, DEFRA and the Welsh Assembly Government will conduct a large-scale emergency flooding exercise across England and Wales. The exercise, commissioned by the Environment Agency, is designed to test responses to severe, wide-area flooding. It will also test the effectiveness of measures recommended in Sir Michael Pitt’s review of the summer 2007 floods. Exercise Watermark will use scenarios based on severe weather conditions including flooding from the sea, rivers, surface water and reservoirs. Participants will include central government departments, Local Authorities, the Ministry of Defence and many community-based groups. As construction continues on ‘The Shard of Glass’, critics claim that their worst fears have been realised. The 310 metre tower, they say, is rapidly becoming a blot on the urban landscape. Their particular concern is the impact the new building is having on views across London. London has a framework of six protected views from elevated areas in parks to both St Paul’s Cathedral and the Palace of Westminster. This means that there is a legal requirement within urban planning to preserve these views by limiting the height of new buildings within or adjacent to a particular sightline. This legislation is designed to preserve particular landmarks as the focus of a view. The protection may also cover the area behind the place or building concerned. English Heritage claims that the protected view of St Paul’s from Parliament Hill has been compromised. While the new building lies behind St Paul’s, they argue, the iconic silhouette of the dome has been lost. This was exactly the concern raised by English Heritage during the public enquiry regarding proposals to build The Shard. Other commentators are more positive about The Shard and welcome it as an exciting addition to the skyline of a dynamic ‘living’ city. 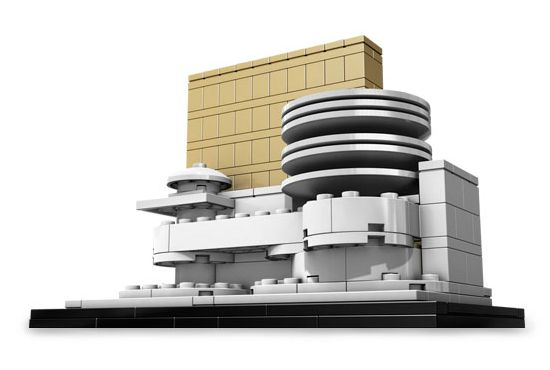 They are confident that it will very quickly become an iconic and popular feature in its own right. Whichever side of the argument you favour, the debate is certain to continue. Now that’s what I call FIND 2010! findmaps.co.uk has had a fantastic year – maintaining its position as the UK’s most comprehensive and competitive map and data provider. ● The uptime for www.findmaps.co.uk was an outstanding 99.91%! Q: Why do paper maps never win at poker? A: Because they always fold.